Holiday at Home specialise in top quality self catering holiday accommodation across Richmond, North Yorkshire. Holiday at Home offer something for everyone from riverside apartments, large country houses and luxury lakeside lodges, depending on the size of your group. All of the unique Yorkshire holiday properties are within a few miles of Richmond, one of Britain’s most beautiful market towns, with an 11th century castle, historic buildings and large cobbled market place and of course, miles of the best walking country in England. There are a number of interesting walks around Richmond, why not try the Drummer Boy walk for some spectacular views of the River Swale, the Batts and the Castle. 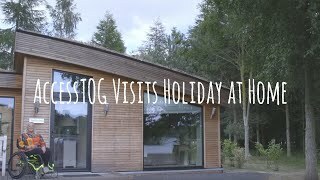 After a day exploring the Dales, relax in your own private log burning hot tub or why not book a walkers massage from one of the beauty therapists on site that can come to your holiday home. We also know how much fun it can be to bring your dog on holiday and we also have a wide selection of dog friendly luxury Yorkshire holiday accommodation.